This celebratory gift is guaranteed to generate acclaim! 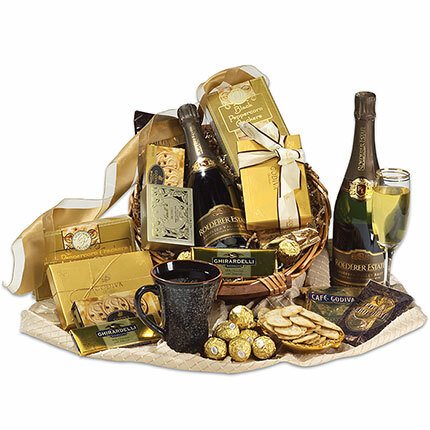 Our stunning basket features a bottle of Louis Roederer Estate Brut Champagne — recently named "Critic's Choice" by Wine Spectator and "Editor's Choice" by Wine Enthusiast. And that's just the beginning. 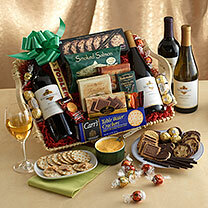 We also include delectable chocolates from Godiva®, Ghirardelli®, Ferrero Rocher® and three pepper blend gourmet water crackers to sweeten the deal. No wonder it's one of our best selling executive gifts!